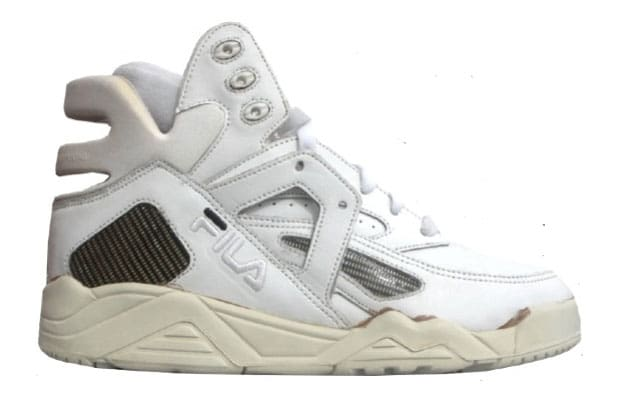 Classic 90’s basketball sneaker, the Fila Cage has been modernized to offer comfort and durability. This cult model, released in 1993, made of leather offers a very good ankle support thanks to its high structure. The solid and monochrome rubber sole offers a perfect finishing touch. The special feature of this model : the Blue, white and red striped terry fabric at the back of the shoe bring a new aesthetic, and recalls the socks and the iconic style of the brand.